Hey Lovelies! It’s day 13 of Blogmas! Having fun so far?! Have you made anything yet?! 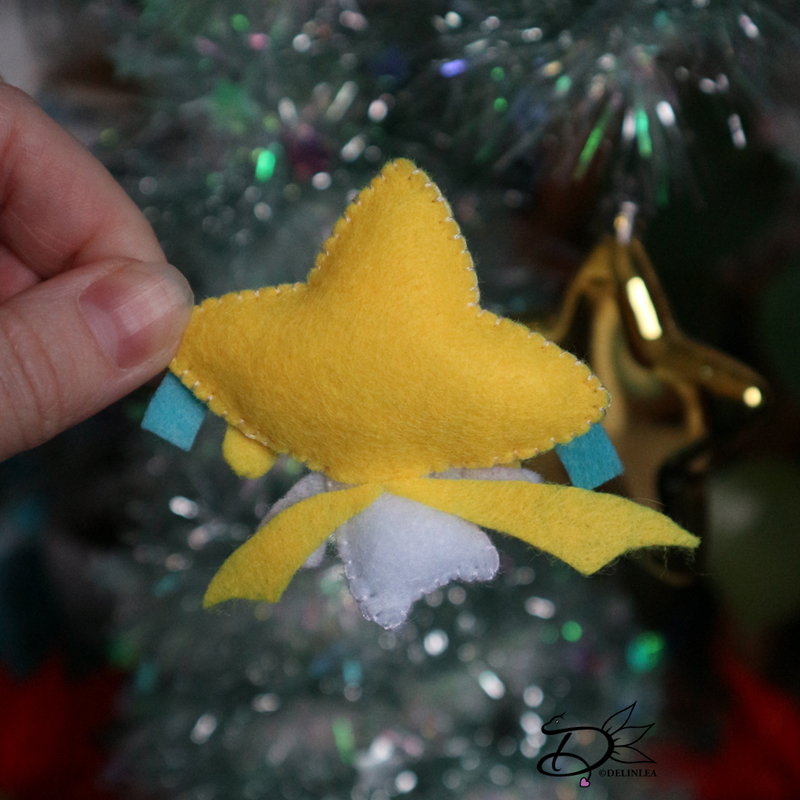 For today I planned another felt ornament! 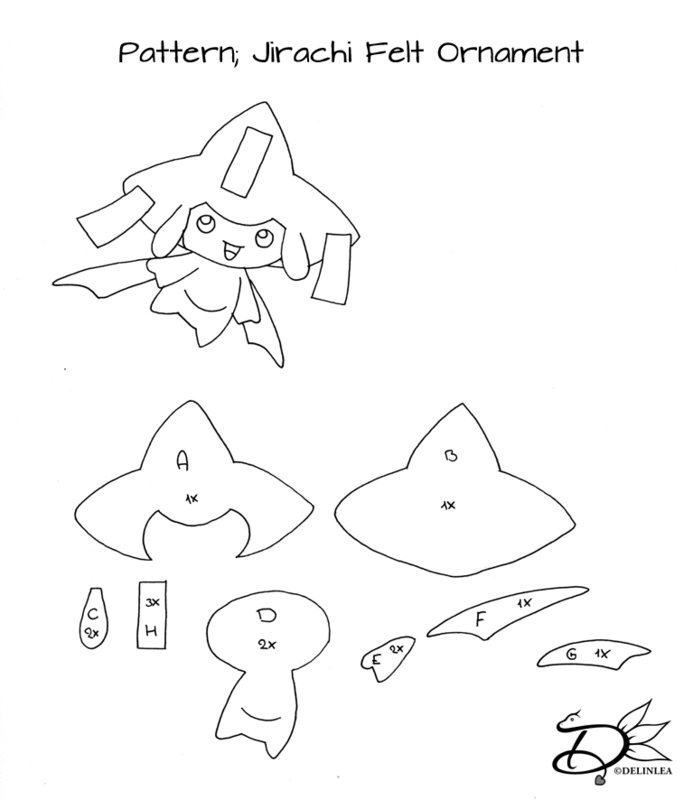 It’s time for Jirachi! I kept him as he is, why cause he is already a star haha xD. Let’s do this. ♥ Felt in the colors Yellow, White and Blue. Now cut out all the parts from felt. Part A, B, C, F and G out of Yellow. Part D and E from white felt and Part H out of Blue felt. Place parts D on part A and B. Just like the pic has shown, you can either glue this on like I did, or sew it on. 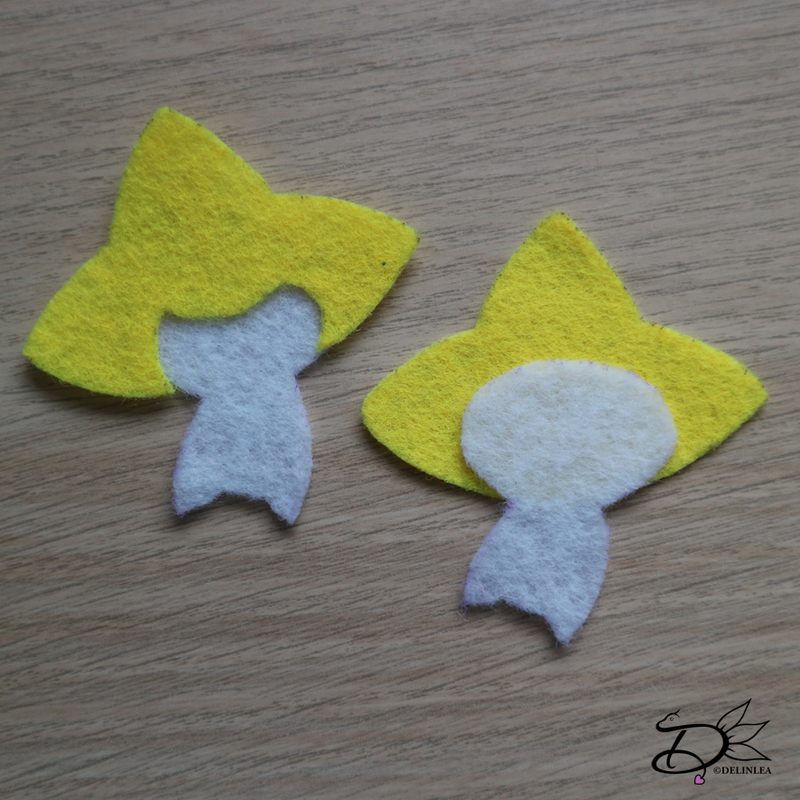 Put these 2 parts on top of each other and sew them together with a blanket stitch. 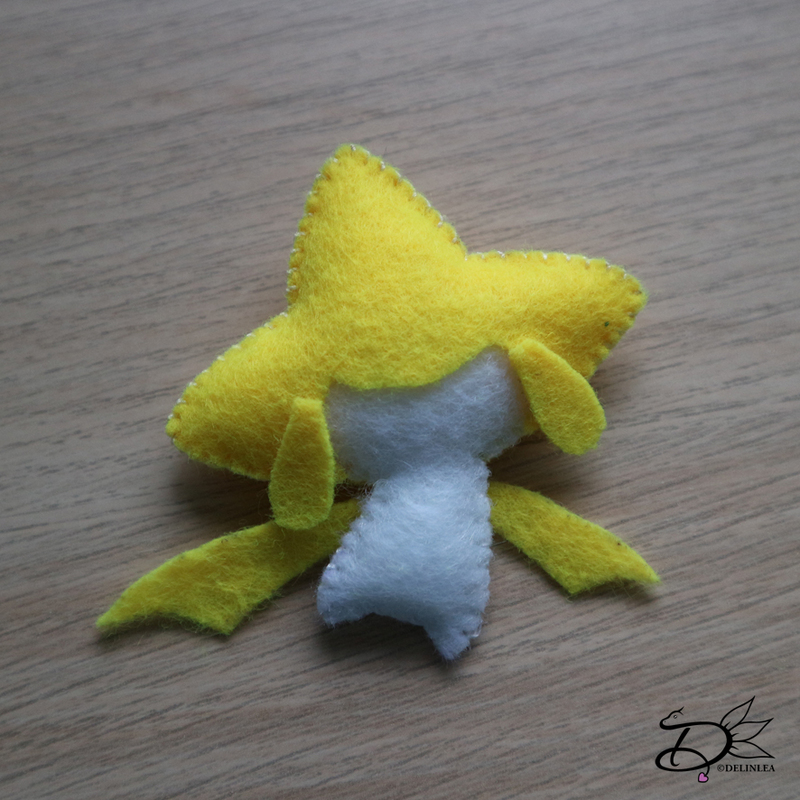 Start sewing the yellow part, stuff this. And then do the white part and before entirly closing, stuff the body as well. 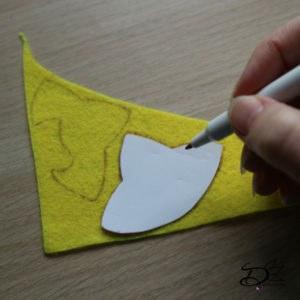 Attach part C to the head now with either glue or sew it on. 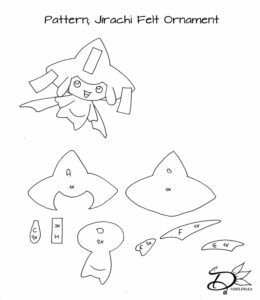 Do the same for parts H, F and G.
Don’t forget to give him a face! I used paint as usual, but you can use felt if you prefer! Do what feels right for you! And he is finished already! Much easier as you would think right?! I hope you had fun and will make him too~. If you did, share it with me, #DelinleaBlogmas2018DIY or #DelinleaDIY. Have a lovely day and I’ll see you tomorrow!